Sometimes referred to as The Mother Road or Main Street of America, Route 66 was paved in 1926 and was the primary way for drivers to get from Chicago to Los Angeles until the creation of the interstate highway system. 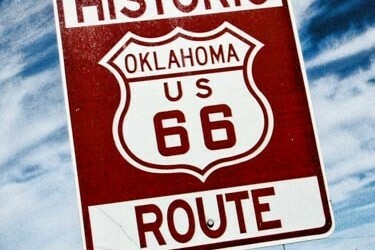 Unfortunately, Route 66 could not withstand the effects of the interstate system. As more and more drivers opted to take the fastest way across the country, more and more roadside businesses dried up. The final blow was dealt in 1985 when Route 66 was officially decommissioned. Many segments were renamed with a new highway number while others were just paved over and became county roads. Today, driving Route 66 proves to be a tough task. Some places have signs pointing drivers in the right direction, but roads end abruptly and one often has to hop onto the interstate for a few exits to pick it back up. However, once Route 66 has been found it is still a treasure chest of Americana: a throwback to a more pure time in the country’s history. While the majority of the old businesses have shut down, many others exist as tourist attractions and have been restored to their original glory.